What makes a country competitive? What makes a country great? The answer is the same, talent. It is the combined talent in the country of its leaders, its public sector and its private sector. And it is the talent that the country develops by itself, and retains, as well as the talent that the country can attract from abroad. Talent is needed in both human individuals and business enterprises. Developing domestic individuals’ talent is a lengthy and demanding process. The country has to instill into its population such virtues as the sense of responsibility, the upholding of integrity and commitment, the habit of learning. At the same time, to retain talent, it has to provide such right environment as individual freedom, intellectual pursuit, open communication, the rule of law, etc. Developing domestic business’ talent is even more difficult. Capable businesses demand capable founders and capable executives. But the authority generally cannot do much except get out of the way. In the business sense, how does a country become competitive on world stage? A country is competitive only when its domestic businesses, or the foreign businesses that operate in the country, have the edge to offer better goods and better services than the competing businesses in other countries. If these businesses can compete in the domestic market against imports, and if they can win in markets abroad whenever they export, then the country is competitive. A business is able to do that only when it has low and competitive costs, business friendly rules and open entry. And it must have employees with the talents to enable it to innovate, produce the leading technical edges, anticipate the needs of users as well as communicate and market those points well. In simple term, it has to always surprise and delight the customers. And when a company is world class at something, it shows. In this remark, I shall focus only on the role of the Thai capital market. How can the capital market make Thailand more competitive on world stage? First, the capital market should allow deserving projects or credit worthy needs the chance to be financed. Financing is not a right to be demanded. A well functioning capital market will automatically allocate scarce resources efficiently based on economic priorities which are determined by rates of return. It does so by open comparison and extensive analysis of prospects and results those are prepared according to strict standards. In its task of capital allocation, the capital market channel is generally more efficient than the banking channel because it can accommodate longer term investment and, being open and transparent, it can also prevent the buildup of overinvestment or overcapacity as occurred in the run up to the Asian Crisis. Second, in the capital market there should be methods to convenient share risks among the various classes of investors and creditors that require different levels of risk and return. The capital market must have the infrastructure for the bundling or unbundling of risks in order to satisfy all investors. But in addition to that, it must also provide convenient tools for risk management for business enterprises. In the capital market, it is the role of derivatives. The facilities for derivatives trading must therefore be accessible, transparent and resilient. Third, the capital market should provide for convenient cross border transaction and fund transfer. As more domestic companies expand their businesses abroad, and as more foreign companies that are based in Thailand expand into the region, they will need the facilities to tap simultaneous financing in multiple markets and in multiple currencies. The capital market must provide such opportunity, and eventually even by using the same set of documents and the same set of rules. And for the companies that have temporary surplus cash, the capital market must also provide for multicurrency investment management across borders. Fourth, and this is the most important point, the capital market has to provide all these services at the costs that are competitive with other regions in the world. The benefits must be placed first and foremost on the welfare of the customers which are the savers and the users of funds. The customers must take first priority. The financial institutions and financial intermediaries can only come second. With such goals, what are the policy implications for the Thai capital market? First, there must be market openness. Competition, as long as it is subjected to proper prudential requirements, will lead to lower costs and wider choices for the customers. Competition will benefit not only the customers, but it will also lead to more efficient financial institutions and intermediaries. Those that prosper will have to always be lean and innovative. This is why for securities licenses, the SEC had announced five years in advance that from 2012 onward, application for licenses will no longer be limited by number, but only by the fit and proper criteria. Second, there should no longer be a monopoly in the stock exchange business and nor a barrier to competition in the stock brokerage business. Monopoly, while necessary for the infant stage of the Stock Exchange of Thailand, will prevent innovation and efficiency if allowed to continue. This is why the SEC had proposed for the law to be amended to remove the monopoly restriction in the stock exchange business. And this is why the SEC had announced five years in advance that from 2012 there will be no more commission floor. Finally, there must be more regional integration. ASEAN Economic Community 2015 will lead to more trade within the region. More Thai companies will do business in other regional countries, and more foreign companies that operate region-wide will come to Thailand. Both types of company will require convenient financing for their more active cross border activities. This is why the ASEAN Capital Markets Forum of which I am Chairman had proposed the Implementation Plan for capital market integration to the ASEAN Finance Ministers in 2009. The Plan is today on track and progressing well. How does it translate into the agenda for the new government? The best thing that the new government can do for Thailand’s future competitiveness on world stage is to have a strong political will to push on with these initiatives. The instrument of bill of exchange (BE) was first introduced in Europe for the financing of import and export trade. A merchant that launched a ship to the East could finance the long voyage by issuing BEs to financiers. BEs can be transferred without recourse to the previous holders. Therefore, the financiers who happen to need cash before the ship returned can sell the BEs to others. a rule to put BEs under the Securities law. For the BEs that are indeed securities, they should be regulated as such. Rules had since been introduced to ensure that the BEs that are traded as securities have proper information disclosure, adequate credit assessment, customer suitability, and transparency of processes. of all bank deposits under the Financial Institutions Development Fund, and continues today even when limited deposit insurance is setting into place. Banks therefore pay deposit insurance premium only on deposits, and not on BEs. Since BEs were supposed to be money market instrument for use by wholesale institutional investors, this approach seems to be fair. The institutional investors are well equipped to assess the financial health of banks by themselves. They don’t need deposit insurance, and they should not be forced to pay for it. The economic benefits of BEs became more and more pronounced the lower the interest rates. Fifteen to twenty years ago, banks had to pay to the FIDF a premium of 0.4 per cent per annum. At that time, a one year bank deposit yielded 8-10 percent. The premium was 4 per cent of the interest. Today, banks pay to Deposit Protection Agency a premium of 0.4 per cent per annum. However, a one year bank deposit now yields only 2 percent. The premium therefore represents as much as 20 per cent of the interest. The banks that raise deposit by BEs therefore make a substantial saving over deposit accounts. Even though the banks pass on some of this benefit to the BE customers, they certainly retain a good part for themselves. This has caused the trend of growth of bank BEs to explode. Four years ago (December 2006), there were Bt 141 billion of bank BEs. The figure today is Bt 1,210 billion, representing 14 per cent of bank funding from the public. With lower cost, bank BE is definitely good for the banks. With higher yield, bank BE is also good for the customers. But is this good for the country? We have to consider these five points. First, it distorts risk perception of savers. BEs are supposed to be money market instrument for institutional investors or professional money managers. But in Thailand BEs had gone through a mutation! BEs are now issued not only to institutions, but most are now issued to private individuals. Previously, BEs were denominated in large amounts of Bt 10 million or more. Nowadays, they go down to the level of ten thousands. Credit Risk: Are the buyers of these BEs fully aware that they are not covered by deposit guarantee? Are there rules to ensure that bank staff makes adequate customer suitability test similar to the sale of other securities? Are the buyers aware what maximum capital loss may arise in various risk scenarios? Are the buyers able to compare credit risk of BEs of one bank against another? Liquidity Risk: Are the buyers aware that there is absolutely no secondary market similar to other securities? Are they aware that in the event of a financial crisis, the credit standing of the banks can be questioned, and there is no way out except to wait for BEs to mature? Second, it can bring down the banks. If the buyers are made fully aware of both the credit risk and liquidity risk, they would be overly sensitive to all news about the banks. They will be the first group to stop the rollover of the BEs. In many countries, many banks had been brought down because they rely too much on money market funding. The most recent case was Northern Rock in the UK. Northern Rock relied on market funding as much as 75 per cent of its funding source. Northern Rock failed in 2007 and had to be bailed out by the authority. The trend shows clearly that Thai banks are relying more and more on BEs. Do you know that today the Thai bank with highest reliance has BEs as much as 60 per cent of its funding source? Third, it deprives the Deposit Protection Agency of the necessary fund. While BE holders will be hurt if and when the issuing bank goes into liquidation, they will still be as safe as depositors if the bank is bailed out. This is called ‘open bank assistance’ where in many countries Deposit Protection Agency would step in to lend money to the bank, or to buy the bank’s equity, without closing down the bank. In this case, the authority uses public fund to shore up a bank and both the depositors and the BE holders get benefits. However, the money that the authority uses to bail out the bank came only from the depositors. Only they had been paying the insurance premium. The BE holders are getting a free ride. Fourth, it distorts macroeconomic figures. Thailand is the only country where bank BEs are really big. The normal international practice is for banks to use Negotiable Certificates of Deposit instead. In macroeconomic analysis, BEs count as debt instruments and therefore the more the better. When there is a lot of BEs, it implies that there exists a deep and liquid money market in that country that makes it resilient during a bank crisis. We run the risk of false self congratulation, celebrating the rapid development of the debt market that isn’t really there. Fifth, it can distort bank regulations. Since the practice of bank BEs is unique to Thailand, beware of the fact that BIS rules may not have thought through about this instrument. Banking regulation on BEs may therefore be too light. And there will be no guidance from outside. What should be done? My personal opinion is that the SEC should amend the regulations to bring bank BEs under the securities law just like the BEs issued by all other entities. I had proposed this matter to the SEC board. It was approved in principle on the cancellation of the non-securities status of the bills issued or guaranteed by financial institutions. Thus, such bills shall be subject to the SEC supervision pursuant to the SEA Act of 1992. The SEC will now discuss with the Bank of Thailand and others to propose proper rules to the Capital Market Supervisory Board. Some banks and some sophisticated savers may disagree with my proposal. They may consider it the right of the savers to obtain higher yields and face higher risks. However, I am sure that all will agree with me that it is necessary to put first priority on the safety of the system. It may also be considered unfair for two banks with the same total amounts of deposit to have to pay the same amount of insurance premium if one bank concentrates on larger depositors and hence will be less of a burden to the Deposit Protection Agency should it fail. Perhaps the insurance premium should be adjusted to better reflect the mix of depositor size profile of each bank. Capital Markets in Asia are set to rise in prominence. This is caused by the global financial crisis. The crisis has turned future world economic development into a tale of two halves. The half of the advanced markets is set to grow much more slowly, with the half of the emerging markets enjoying substantially faster growth. It will open up opportunities for Asian capital markets to take away some of the business and the role previously of the advanced markets. The slow but calculated move to raise the international usage of the Chinese Yuan is a case in point. It will define the future of Hong Kong and whichever other centers that can serve such business well. In the long run, it may even lead the Chinese Yuan to be the core currency around which other Asian currencies revolve. The more the Asian countries become parts of the same supply chain with China, the stronger the role of the Chinese Yuan. You may recall that a few years ago Turkey expressed strong interest to join the Euro, but faced a delay. Recently there have been comments in the Turkish press suggesting a rethink. Would it not be better to join an Asian currency arrangement that may occur in the future instead of looking to Europe? This is definitely an important key driver for more rapid capital market development in ASEAN. But there are also others. What are they? First, the move towards ASEAN Economic Community will lead to more intra-regional trade in goods and services. A lot of financing will be required, and the financing has to expand beyond the banking channel into the capital market channel. Second, we must encourage ASEAN to invest more into each other. In the past model, countries will invest surplus savings in the advanced markets only to be recycled back to countries with deficit. We must make ASEAN investors more comfortable with ASEAN financial products. Third, the Asian Crisis had shown that capital markets can be much better than the banking channel in allocating scarce imported capital to deserving projects. Because bank lending is a secret only between the bank and its customer, it would easily lead to over investment and over capacity. Capital markets, on the other hand, are transparent. Allocation of resources is based on comparative risk and return. It is also subjected to public analysis by stock brokers, financial advisors, financial press, credit rating agencies and many others. Not only do the investors know of your future business plan, but also your competitors. Over expansion will be stopped in its track. Capital markets can help with risk management too. The existence of local currency bond markets lessens the risk of both the currency mismatch and the maturity mismatch. But the most important key driver for capital market development is actually the need for a liquidity crisis tool. In Thailand, the 1997 crisis started with the finance companies. Soon, Thai banks stopped lending to finance companies. After that, large Thai banks stopped lending to small Thai banks. Finally, foreign banks stopped lending to Thai banks. In the end, even industrial companies demanded cash before delivery. In that situation, the Bank of Thailand had no way to act as the lender of last resort. Whatever liquidity it put in stayed only at the banks that had no need. The banks that had a need had run out of market instruments a long time ago. The Bank of Thailand had no choice at that time but to lend money to the finance companies directly through the Financial Institutions Development Fund. They took in boxes of loan contracts. But it was only for visual comfort because the law required debtors’ consent to legally transfer the loans, which was impossible to do at the height of the crisis. A large part of the loans went bad, and the Bank of Thailand was badly criticized. The staff was publicly investigated and ridiculed. It is ironic that in the global financial crisis in 2008-9, all the big advance countries did exactly the same. All the central banks in Europe and the USA went in to rescue their banks. All were rescued except poor Lehman Brothers. In hindsight, the criticism to the Bank of Thailand was harsh. A law has since been passed to prevent the Bank of Thailand from making such unsecured lending again. So what will happen when there is the next financial crisis? Without the Financial Institutions Development Fund, the only way for banks in Thailand to look after themselves is to speed up on development of the bond markets. Banks must have more instruments on hand that they can always sell in the market regardless of their reputation. For ASEAN capital market development agendas, there is no key driver as important as this one. SINGAPORE, Feb 25 (Reuters) - Regulators in the United States and Europe have learned some hard lessons from the global financial crisis and should now look to Asia to see how many of their new tougher rules governing financial markets will work out. A lot of regulations under consideration in the developed world to rein in the excessive risk-taking of banks blamed in part for the global financial crisis are already in place in Asia, which came through the crisis relatively unscathed. The new buzzwords attached to western countries' regulatory proposals include macroprudential lending controls and counter-cyclical credit buffers, but these are tools most Asian financial centres adopted in the wake of the region's own financial crisis in 1997. "In all sorts of areas, the Asian markets haven't had the same problems the U.S. and European markets had and that in part is because of some of the changes which were made 12 years ago after the Asia crisis," said Martin Wheatley, chief executive of Hong Kong's Securities and Futures Commission. Asian-style regulation includes tougher capital standards for banks, lending controls such as limiting loan-to-value ratios for mortgages and caps on debt servicing. In the buildup to the global crisis, there were no caps imposed by regulators in western Europe or the United States on loans for houses. Some banks even loaned out amounts that exceeded the value of the house in question. In comparison, many Asian countries have upper limits for home loans. Hong Kong, for example, caps mortgages at a maximum of 70 percent of the value of the home and lower for more expensive properties. The tough approach taken by Asian regulators in recent years to control domestic banks is likely to be extended to the regional operations of overseas banks, lawyers and former regulators said. "Now, Asian regulators will no longer look at the famous western names as a Godsend, instead they'll see them as a potential liability and the upshot is they'll make sure they're treated as tough as local banks," said Simon Topping, former director of banking policy at the Hong Kong Monetary Authority and now a partner at accountancy firm KPMG. Many European and U.S. banks are likely to look to growth in Asia to make up for the sluggish performance of developed economies. The huge array of new rules and regulations dished out by their home regulators may, if nothing else, give hope they could get an easier ride in Asia. Instead, banks with full-blown banking operations in Asia such as Standard Chartered and Citigroup could face higher capital requirements than in their home jurisdictions. "The UK may say one of its banking groups needs to have an 11 percent capital base and try to impose that around the world, but if a host regulator thinks its subsidiary needs 12 or 13 percent, it'll say 12 or 13," said Topping. International banks that currently operate in the region through branch networks may be forced by some regulators to set-up subsidiary companies instead so they can be subject to more intense supervision. "The model of requiring foreign banks to become locally-incorporated subsidiaries will be debated more and more within Asia," said Thirachai Phuvanatnaranubala, secretary general of Thailand's Securities and Exchange Commission. Although Asia's financial sector came through the global financial crisis largely unscathed, regulators can't take all the credit. Many countries in the region lacked the complex financial instruments, securitisation and lending practices seen in the United States and Europe that triggered the crisis. Simpler markets don't mean they can't offer valuable lessons. The resilience of the globally interconnected financial centres such as Hong Kong and Singapore is in large part down to regulators' ability to balance a light touch on financial markets with a stronger one in the local banking system. "These centres did a better job than the UK and U.S. at putting a separation between a tightly controlled and tightly supervised domestic banking system and their function as a global financial centre," said Nicolas Veron, a senior fellow at Brussels- based think tank Bruegel, which specialises in financial regulation. "The UK in particular wasn't able to separate regulation of the City of London from the domestic banking system. They're now looking for a new model and should at least reflect on the systems in Hong Kong and Singapore," said Veron. British policymakers are unlikely to explicitly adopt another country's regulatory model. But they have lured Wheatley back from Hong Kong's SFC to oversee the establishment of its new consumer and markets regulator. Wheatley is British and has experience as deputy CEO at the London Stock Exchange. But his record in Hong Kong means he is one of the few regulators whose reputation has improved in the past three years. He said it's far too early to say what major changes he'll try to implement when he moves back to London. But one of his first tasks may be to deal with the unintended consequences of the changes pushed through by overseas regulators, he said. "There are some big, big decisions being made very quickly at the moment and that's inevitably going to create some market anomalies which we're going to have to correct," he said. And this is the fear shared by many in Asia. For while many Asian countries are plagued by reams of red tape in some areas of regulation, their big-picture macroprudential policies are surprisingly simple. The worry is that regulators in the United States and Europe may over react following the global financial crisis. "I think re-regulation as it's happening in the West tends to create conditions for financial fragmentation and not financial integration, so the more you regulate systems the more barriers there will be to cross-border activity, and a less cohesive approach to deal with future problems," Veron said. SINGAPORE, Feb 23 (Reuters) - Most of South East Asia's stock exchanges are several years away from getting involved in the global wave of bourse consolidation, the head of Thailand's market regulator said. Exchanges in Malaysia, the Philippines, Singapore, Vietnam, Indonesia and Thailand are setting up electronic trading links between their markets with the eventual aim of having cross-border dealing in all their listed shares. But the ownership structures of these bourses -- with the exception of Singapore -- means that going any further than this and looking at full-blown M&A deals is currently not an option. 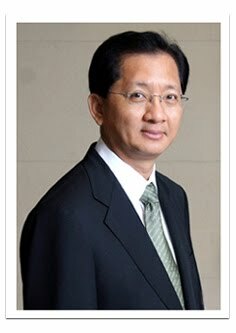 "Right now the only linkage is through the electronic means of this project, and that is the only likely option for now," Thirachai Phuvanatnaranubala, Secretary General of Thailand's Securities and Exchange Commission, told Reuters in a phone interview on Wednesday. Deutsche Boerse bid for NYSE Euronext and Singapore Exchange's move for Australia's ASX have prompted talk that the major global exchanges market could soon be cut to just two or three big players. This would leave question marks over the future of smaller exchanges such as those in Southeast Asia. "How the exchanges in Asia and ASEAN can take advantage of this trend or not is quite difficult to say at this stage," said Phuvanatnaranubala. Several exchanges in Southeast Asia are still largely controlled by governments and members so would probably need to demutualise before any deals could happen. "I think the development is still in early stages in Asia and the ASEAN exchanges especially are still at the stage whereby we need to straighten out our legal system," said Phuvanatnaranubala. "But obviously after that stage is over in the next few years then the people involved will have to think hard as to their future strategy," he said. However, mounting competitive pressure would encourage the region's exchanges to improve their efficiency, he said. "My feeling is that the more we let them compete the more we get rid of the hindrances and the faster they have to adapt and become leaner." (C) Reuters 2011. All rights reserved. Republication or redistribution of Reuters content, including by caching, framing or similar means, is expressly prohibited without the prior written consent of Reuters. Reuters and the Reuters sphere logo are registered trademarks and trademarks of the Reuters group of companies around the world.